Learners at LES are learning Mandarin via satellite. 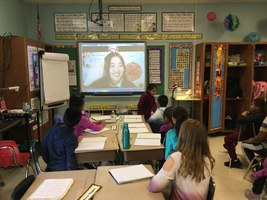 The first thirty minute lesson focused on the culture of the capital, Beijing, and how to say hello, ni hao, and goodbye, zai Jain. It was very exciting! 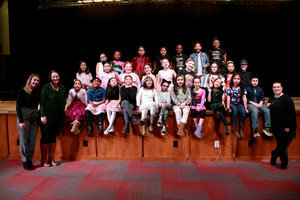 LES students had the chance to showcase their talents on February 1 to a crowd of family and friends. The illustrious judges, Ms. Amabile, Mrs. Beckmann and Mrs. Talenti had the most fun of all watching the the acts perform. Many thanks to our LES PTA for sponsoring this event. Our PTA supports our school in many ways. 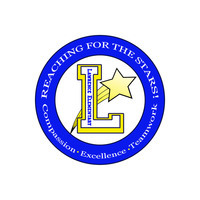 At LES we are reaching for the STARS! At LES we reach for the STARS when we show kindness, act in a trustworthy, responsible way, respects self and others and put safety first. 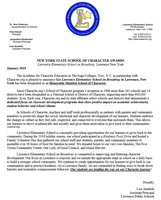 Our school community exemplifies the motto of our logo: compassion, excellence and teamwork. Working together success is in the reach of each and every learner. 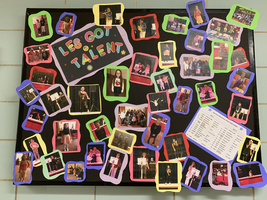 LES Got Talent Show was a huge success last Friday Night. Congrats to our top three winners: Mailo Rozas Catalan, Lana Krause, Emily Ciaccio. 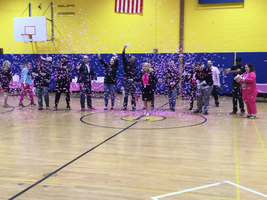 Everyone was a winner showing kindness and appreciation to all.